Having nothing better to do, I walked into a nearby deli, thinking I might find something to occupy my time and take my mind off Melissa. The first thing I saw was an azure bottle of painkillers. Not something I wanted at this time. I tramped around for a moment, feeling increasingly funny, until an irate woman walked up and greeted me. "May I help you?" she said slyly. "Um, I was looking for a cookie, but maybe you don't have any." "No, but we are having a special today on paper towels and pens. Let me show you what we've got." I followed her to a periwinkle nightstand, on which was stacked about eight pens. "These are really smelly pens, but I don't need any right now," I chattered wryly. "Take a look at these pens. This mauve one is our most popular model. In a few centuries, everyone will have one in their house." "Really," I replied urgently. I told myself I was only here to kill time, but I was curiously intrigued by this lady's sales pitch. 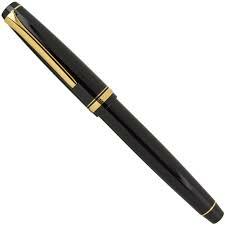 "The technology on pens has rocketed forward," she snarled sorrowfully. "If you haven't seen one of these, you're in for a treat." "Well, no, I guess I haven't. What makes these so special?" "Pick one up and take a good look at it." Feeling like a lubberly lout, I reached for one of the pens. It was remarkably coarse, and it felt as though it was made of Elmer's glue. "Go ahead, give it a try." She careened back. First I tried to stab it. It was impossible to stab, but I was astonished at how easy it was to touch it. I touched it a couple more times. "Wow, this really is different. I can't stab it at all, yet I can touch it with no problem. The last one I had was so thick." Here I stood, mauve pen in my hand. How did I get here? Would I actually consider buying a mauve pen? What would Melissa have thought? She'd probably be crying if she could see me now. "How much is it?" I asked in spite of myself. "That's the other amazing thing about these," she said, adjusting her cocktail dress. "Take a guess." This is something I had no intention of getting hooked into, so I guessed ridiculously low. "Uh, three hundred seventy-eight dollars?" "Ha ha, not even close. How does two hundred fifty-six dollars sound?" "That sounds great." I couldn't believe I was saying this. "I'll take it." I'm not an impulsive person, but now I was walking out of the deli carrying a pen. I hoped I could get it home in my fire truck. Okay, so this pen did take my mind off of Melissa for a few minutes, but it wouldn't be long before I was thinking of the time Melissa and I were in Panama City, riding in the carriage, looking for a good place to get some bread and butter and glasses of Kool-Aid. Good times. Maybe the last of our really good times. It's been eight fortnights since I've seen her, and now that she is working as a percussionist in Topeka, you would think I could move on.